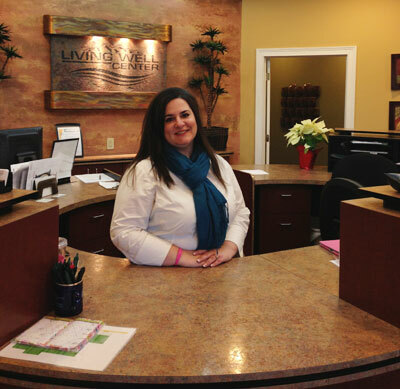 Deanna will greet you with a friendly smile at Seland Chiropractic Living Well Center. As chiropractors in Fishers our chiropractic family wants patients to feel better from the moment they walk into our warm, inviting reception room. Its important to us that you feel comfortable and at home right from the start. First, you can download the New Patient Forms right here from our website so you can complete them in the comfort of your own home. When you enter our office, you will be warmly greeted by Deanna our front desk Chiropractic Assistant. Deanna has been working at Seland Chiropractic Center for 12 years. She will take your paperwork and welcome you. Your wait to see the doctor will be minimal as we know your time is valuable and we honor that. The doctor will palpate areas that you report as in pain or are the reason you are in the office. While your x-rays are being processed, you will experience the HydroMassage experience to relax and de-stress. The doctor will then provide therapies appropriate to your condition. Spinal treatment may begin on the first visit. We will then reschedule for your next appointment called the report of findings. The first day you are typically in the office between 45-60 minutes. The second visit is your Report of Findings day. This is a wonderful opportunity for the doctor to share with you what he has learned from all the diagnostic data obtained on the first visit. You will learn what a normal x-ray looks like and then see how your x-ray compares to that. You will hear a strategy or plan to eliminate your pain and restore your health to the most optimal. On this day you receive your first full spine adjustment. Therapies on this visit vary from patient to patient. Your report of findings visit takes approximately 45 minutes. You will leave felling better, energized, and ready for the rest of your day!